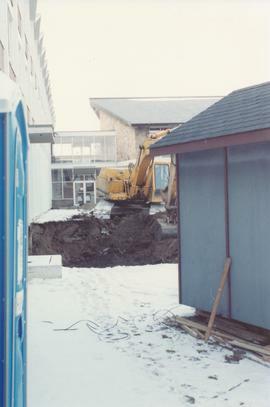 Breaking ground for the construction of classroom and patio space at Conrad Grebel College, March 1992. 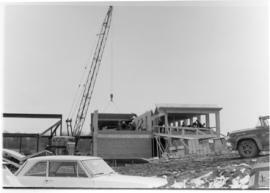 Conrad Grebel College under construction. 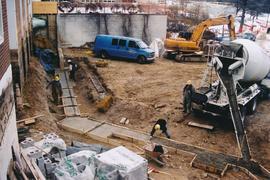 Construction of the Atrium at Conrad Grebel University College. 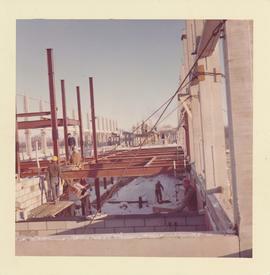 Construction of the Conrad Grebel College Academic Building. The Dana Porter library at the University of Waterloo is in the background. 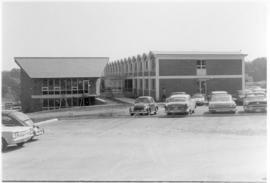 Photograph taken by University of Waterloo engineering student shows the College from the north side, with the residence and chapel prominent. 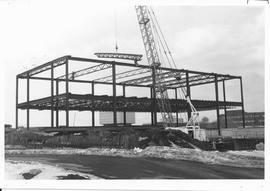 Photograph taken by a University of Waterloo engineering student. 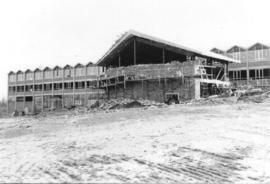 Shows the construction of the chapel and residence from the north side. 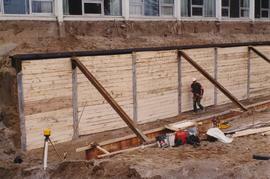 Shoring up a retaining wall for the construction of classrooms with patio space above at Conrad Grebel College, April 1992. 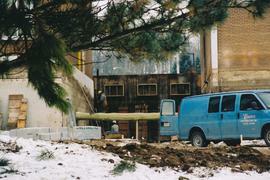 Shows the construction of the Conrad Grebel College chapel. Photograph taken by a University of Waterloo engineering student.